In Part 2 we get to grips with the different types of currents and how to install your batteries to store your solar energy. Alternating current (AC) is what you find in the power mains from a power utility. AC has a positive and neutral. Direct current (DC) has a positive and negative and is the power we find in a battery. 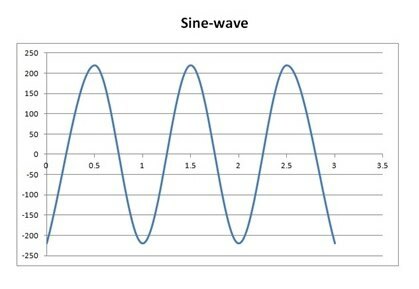 In AC, the positive and neutral alternates 50 times per second in a sine wave pattern, at 220 volts (50 megahertz). 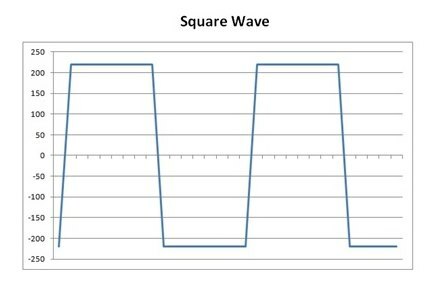 You also get a step wave and a square wave, but a sine wave is the best and smoothest of the three, followed by a step wave. So if you boil a 1000 watt kettle for one hour all the power will be more or less gone, you would have consumed 1000 watts. If you only boil a kettle for 15 minutes then you only consume a quarter of an hour’s worth of watts or a total of 250 watts so your battery still holds more than three quarters of its power. A 12 volt battery’s voltage ranges from around 13.5 volts to 12 volts at which time it is considered flat. This occurs at about 60% drain so the last 40% is not available to you, certainly not without damaging the battery. So what they call a 105 amp hour battery is really a 63 amp hour battery and holds 756 watts and not 1260 watts, enough time in reality to boil a kettle for 45 minutes. If you wire batteries together in parallel you increase the amp hours stored and the voltage remains the same. 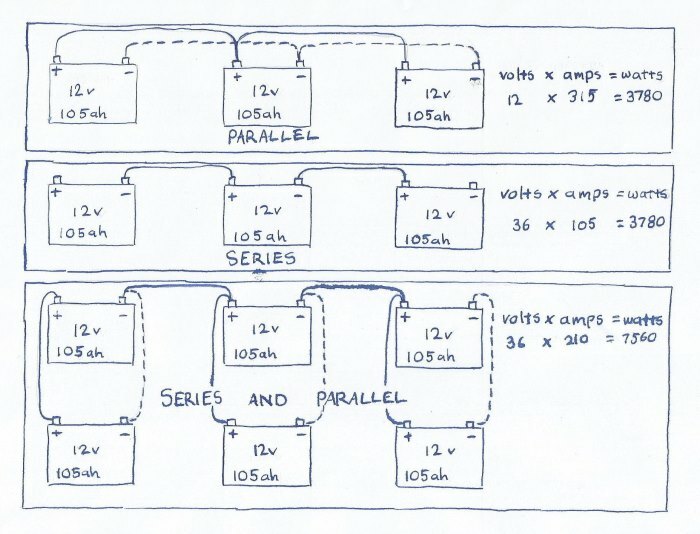 If you wire batteries in series the voltage increases, while the amp hours remain the same. The higher the voltage the less transmission loss over distance, because there is less resistance. Solar panels: Your panels generate current from the sun and are generally 12 volt, rated in watts, and can be wired in series or parallel. Regulator: This takes direct current from the solar panels and ensures that the batteries are fully charged and last long. The regulator will also not allow the batteries to be discharged to the point that they will get damaged. Inverter: The inverter takes the power from the batteries through the regulator and inverts it from direct current (12 v, 24v, 48v DC) to alternating current 220v. At this stage it is perhaps best for me to explain my own solar system and the reasons for why it is how it is. It is often the case that systems evolve over time rather than implemented in one go. 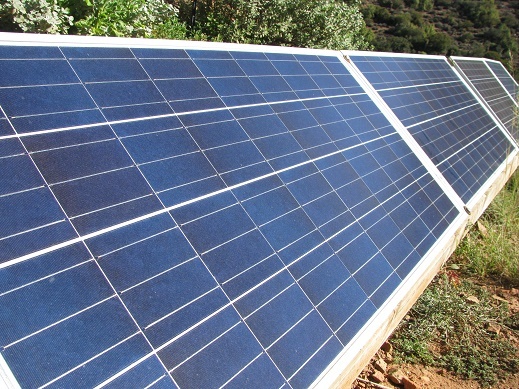 Unlike conventional power systems that have monthly costs solar systems need to be paid for upfront and typically costs are recovered over a five year period, although the time taken for this to occur is getting shorter. 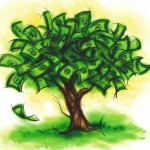 Most of us do not have the finances to implement a system in one go and so build them over time. It is only recently that I have reached the point where I am meeting all of my perceived needs. Living in an area where there was no chance of a connection to a national grid, I have had to do without or manage what energy I had very carefully. Firstly lighting, this is run off one 12 volt, 80 watt panel and one 105 amp hour battery, using efficient LED lighting. The lighting itself is 12 volt DC so there is no need to invert the current, leading to a simpler system less prone to failure. If we had 10 hours of sunshine with an 80 watt panel this would translate into 960 watts. An average LED light may consume as much as 5 watts. This would mean that enough energy is generated to run one light for 192 hours or exactly 8 days. This more than meets all of my lighting requirements and is a stand-alone system. There is no chance of the power running out for lighting even if there is persistent bad weather. I consider lighting to be the most important part of a system so its stability should be guaranteed. Having long ago lived with candles and smelly paraffin lamps with poor light to read with, it was an absolute joy to free myself from that continuous cost. Secondly, one 80 watt, 12 volt panel with a 105 amp hour battery panel running the internet and an alarm system. (Yes, unfortunately we need one if you would like to come home to your computer, shoes and furniture.) Like lighting, this system needs to be as stable as possible, as both communication and security are vital as we live in an isolated unpredictable environment, with the internet our only form of communication. These systems run directly off 12 volts so there is no need to invert the power. Thirdly, two 110 watt panels wired in series to give 24 volts stored in two 105 amp hour batteries for an efficient fridge, the latest addition to our family. There is again no need to invert the power as the fridge accepts 24 volts DC, leading to an uncomplicated system. Again there is no chance of running out of power even in persistent bad weather. Lastly, numerous types of panels I have collected over the years wired in series and parallel to provide 36 volts and 600 watts. (This voltage is historic as at the time I began it was common so I have stuck with it. Now common voltages are 12, 24, or 48.) They are controlled with an MPPT regulator, so it can make sense of the different panels. An MPPT regulator has a microprocessor that checks the peak voltages to maximise the efficiency of the charge with minimal power loss. It is particularly useful if you have many types of panels as they will give slightly different voltages and have different peaks, which the MPPT regulator is able to recognise and compensate for. The energy is stored in six, 6 volt batteries wired in series and parallel (two , six volt batteries wired in series to increase the voltage to 12 volts, replicated three times and then the three twelve volt pairs wired in parallel), giving us a total of around 400 amp hours at 36 volts. This energy is inverted to 220 volts through a 1000 watt pure sinewave inverter to provide our mains electricity. It is important to note here that we don’t rely on as many appliances as a typical household. We have a solar geyser and various ways of cooking, including a wood stove, rocket stove, gas and a solar oven. Our mains power is used for a washing machine, computers, juicer, stick blender, slow cooker and a printer. We don’t own a TV. It is those appliances like stoves, ovens, kettles, toasters, geysers and irons that generate heat that consume the most power. Over the years I have collected an assortment of tools and gadgets that work with the inverter and are of high quality so that they do not put undue stress on the inverter. Most of my tools are small so they can run directly off the mains without the need to start a generator, which is in any event itself only 1000 watts. The generator can be used on its own or can be used to charge the systems above and the current can be drawn through the inverter or directly from the generator, depending on my energy needs at the time. For example if the batteries are low and I need the drill for a few moments here and there it does not make sense to use the generator on its own because most of the time it will be running with no draw. In this instance it is better to hook it up to the batteries and use the inverter to supply the current so that batteries can be charged as well as run the drill, making for a more efficient use of energy. In conclusion, solar systems that evolve over time develop their own character that suits the usage patterns of the homeowner like a glove and they will, by design, all be different from one another as well as being more stable. If any one part of a system collapses it does not lead to the failure of all the other parts of the whole. It is an empowering feeling to be in control of your energy needs and it creates an awareness around its use. We are disconnected in our everyday lives from the source of some of our basic needs such as food and water. We are mostly unaware of where our food comes from and as a result overindulge and waste this precious resource. In just the same way as we would show more respect to what we ate if we grew it ourselves, we would show more respect to other resources, including energy, if we were responsible for our own needs. 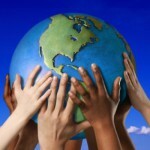 We will discover that we tread on the planet with a kinder footprint. In my follow-up post on solar energy I will show you how to calculate your power needs and enable you to design a system that will suit your very individual needs. 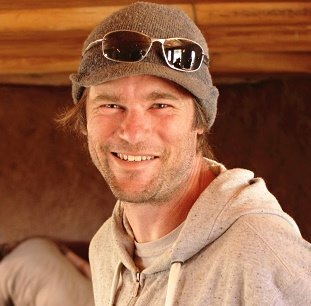 Currently under the auspices of the Natural Building Collective, Peter is available to provide training, private consultation, facilitating workshops and he continues to be involved with projects nationally to further sustainable and natural building. For more information click here.